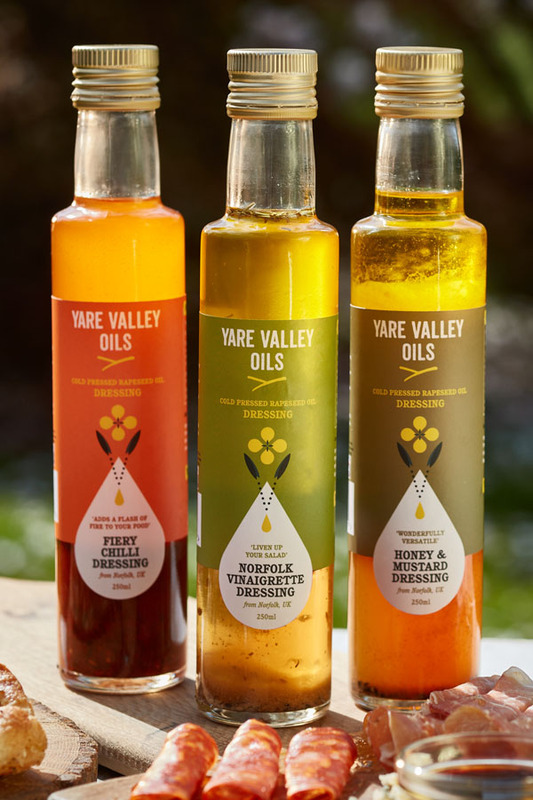 In the Yare Valley, nestled beside the Norfolk broads the Mack family have been working the fertile land from their farm for over 100 years. 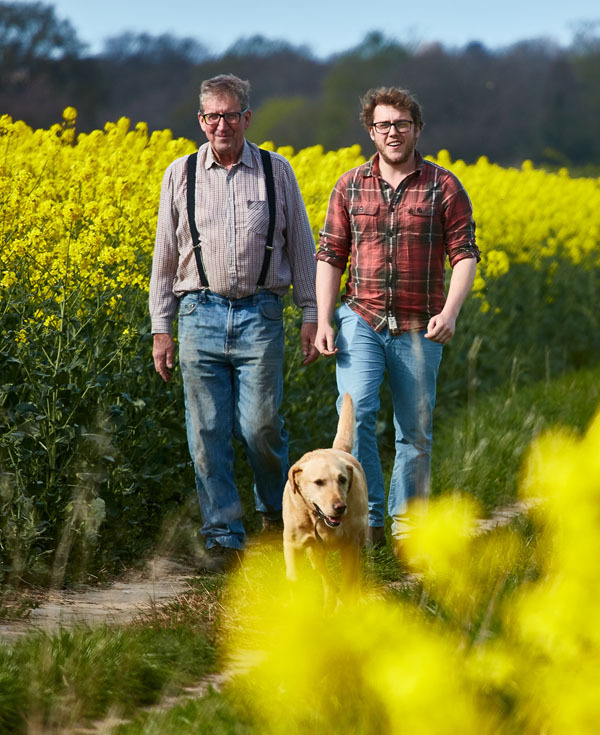 Their rapeseed is grown, harvested, pressed and bottled on site by mechanical means and twice filtered, which retains the natural health properties of this incredibly versatile British oil. 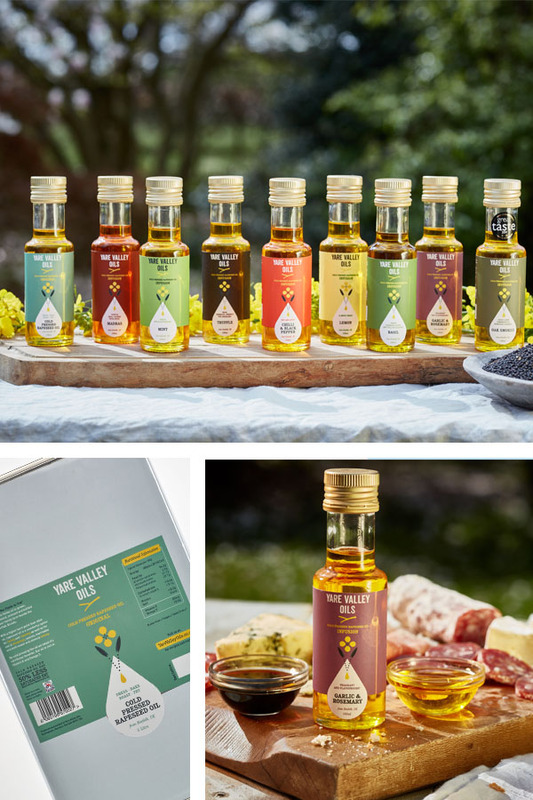 High in omega three, half the saturated fat of extra virgin olive oil, a very high burn point even in its extra virgin cold pressed state and a deliciously subtle flavour makes it an ideal option for everyday cooking including both sweet and savoury dishes. This oil is also used as a base in creating a delicious range of dressings, sauces, marinades and infusions. They now also produce a wonderfully smooth and All Natural Honey and Lime Lip Balm using local beeswax and honey. Online delivery from their website. 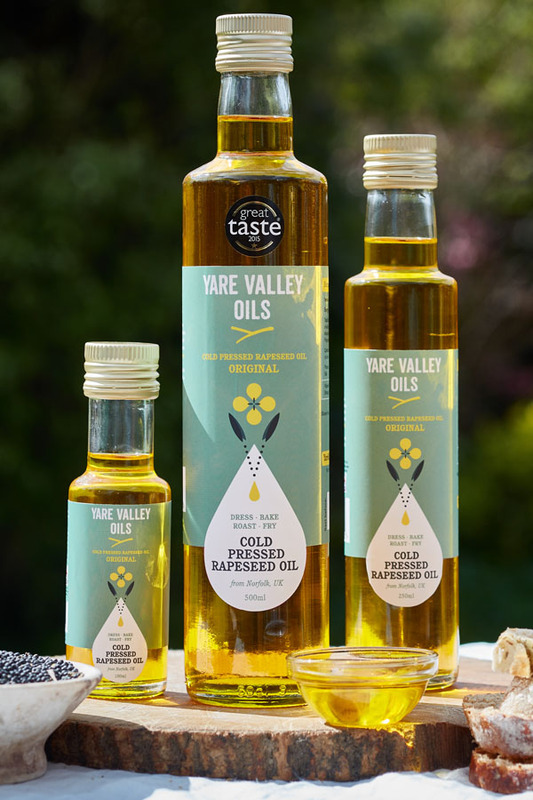 The oil is sold in retail outlets such as shops, farm shops, delis and butchers across Norfolk and parts of Suffolk. A list of stockists is on their website. Visit their farm shop where farm reared beef, own grown potatoes and full range of oils are sold alongside some wonderful local foods.